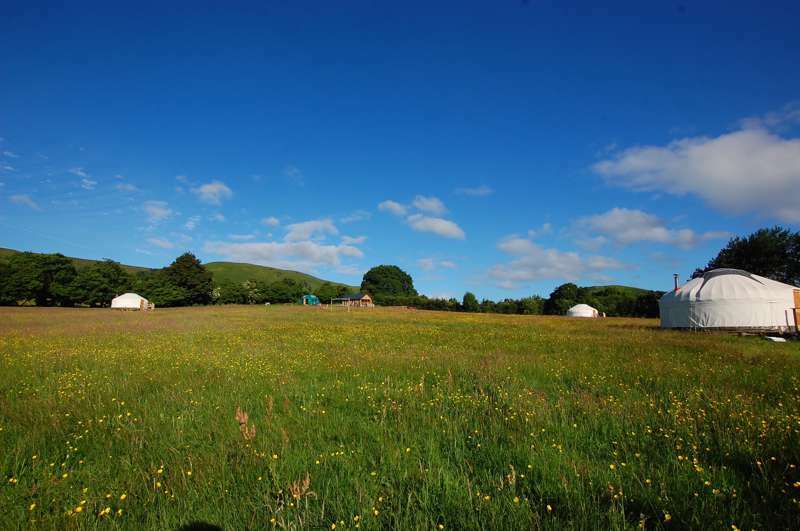 Our park offers some of the best rural views that Mid Wales has to offer. 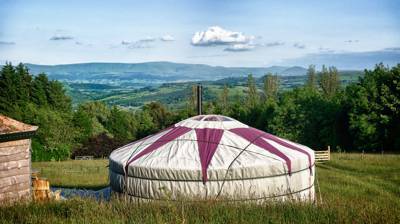 From the Wye Valley to the Cambrian Mountains, we are fortunate to be situated in a truly beautiful area and only a short walk from the medieval market town of Builth Wells and the Royal Welsh Showground. 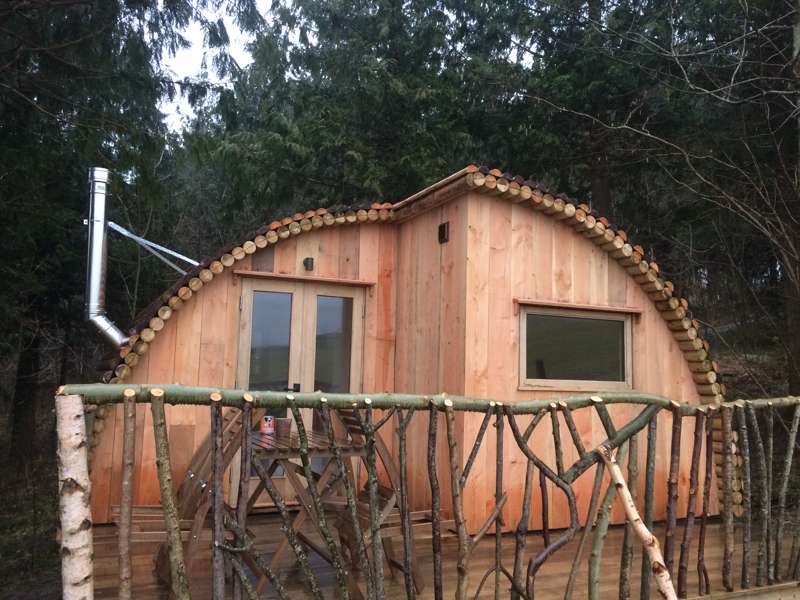 Our off grid glamping pods have been constructed with timber provided by local suppliers, each pod is fully insulated using British sheep’s wool and are fully equipped with solar panels, kitchen amenities and glazed front panels for you to take in the breathtaking scenery of the woodland and surrounding countryside. 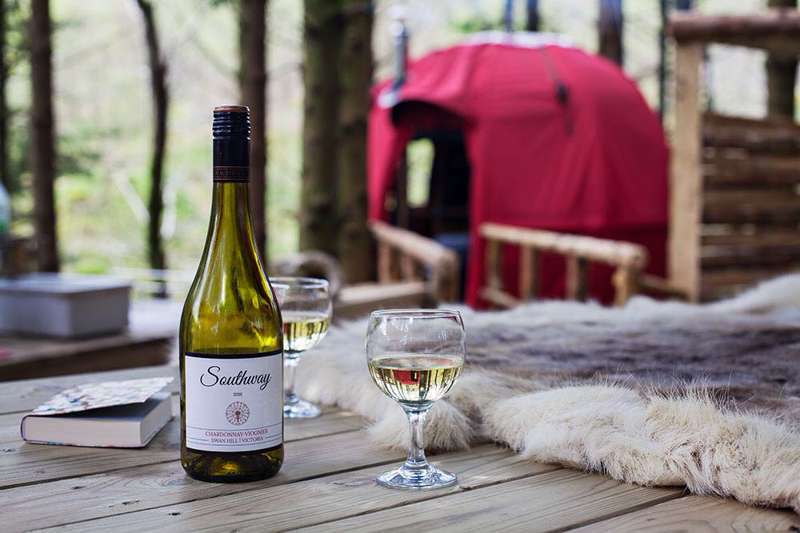 A stay in one of our eco-friendly moduLog pods is the perfect way to spend your family glamping holiday. Should you want to spend a day at the park, we have a number of communal areas and activities just for you and your family. Our games room is fully stocked with books, magazines and DVDs and also houses the toilet and shower blocks. We have other communal areas including a fire pit and a designated BBQ section with pizza oven. You will also be able to receive Wi-Fi in the main complex. 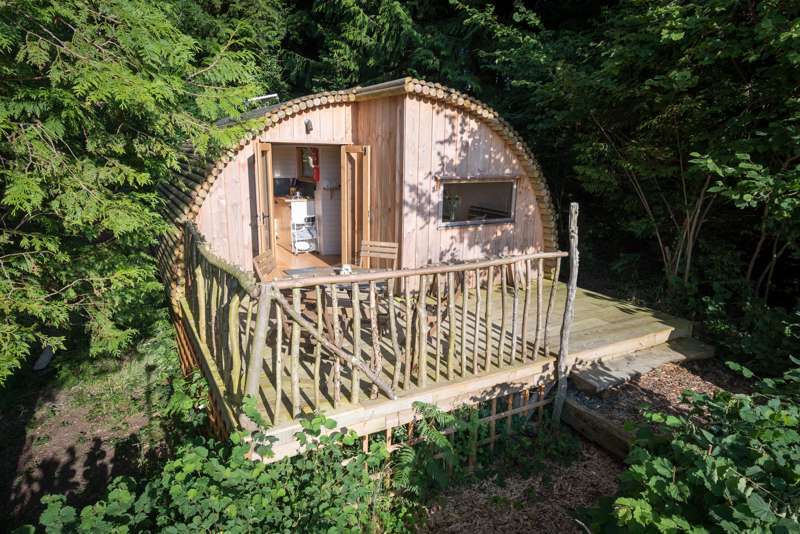 If you are just looking to stretch your legs we have designed woodland trails that take up just over 1km on-site, alternatively for those looking for something more challenging, the park overlooks the picturesque Wye Valley. 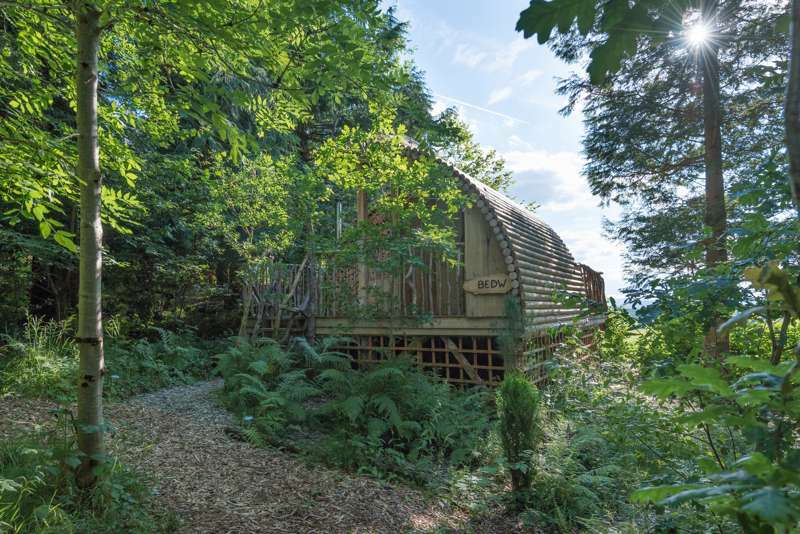 For latest availability and best prices for Celtic Woodland Holidays, please use the Date Search above. 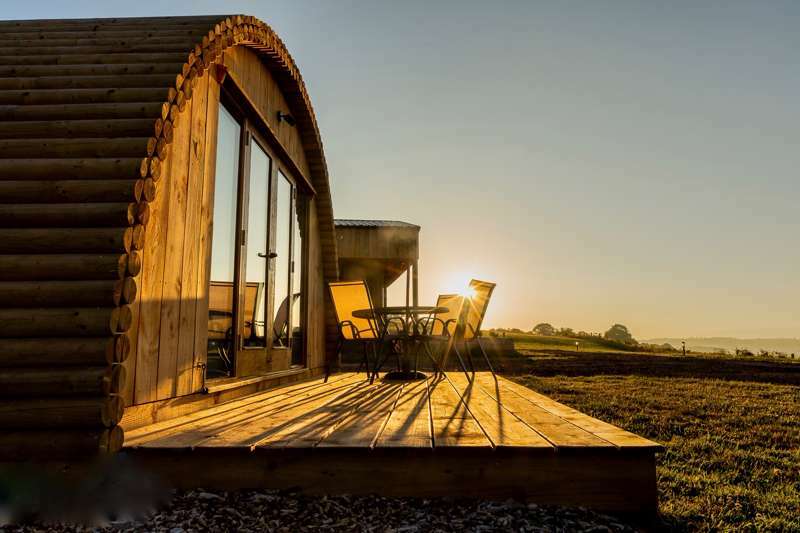 Family glamping pods include 2 pull-out double beds; couples glamping pod includes 1. 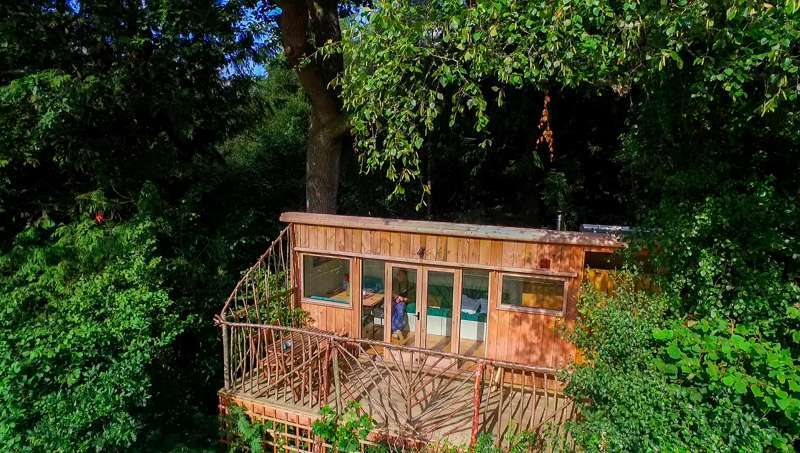 Treehouse includes 1 double bedroom, 1 twin room and a double sofa bed. 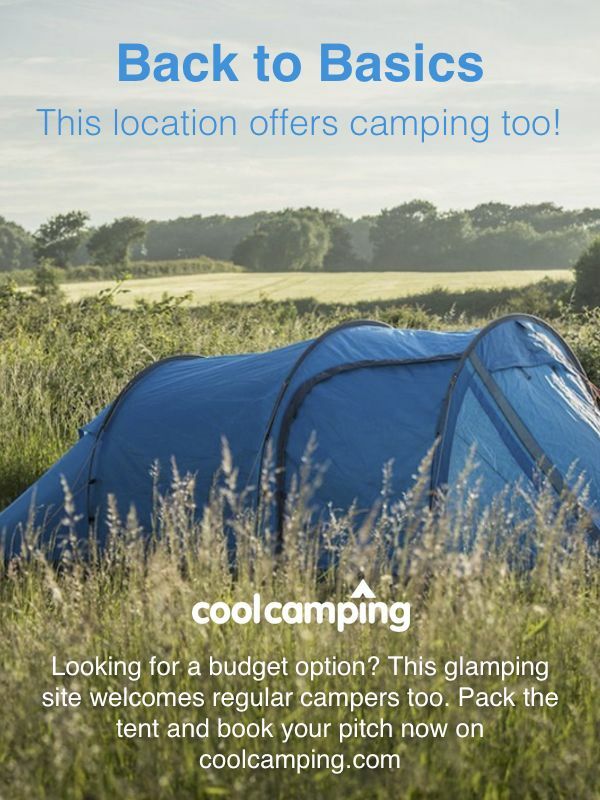 All-weather tent pitches accommodate 4-berth tents (5m x 3m). 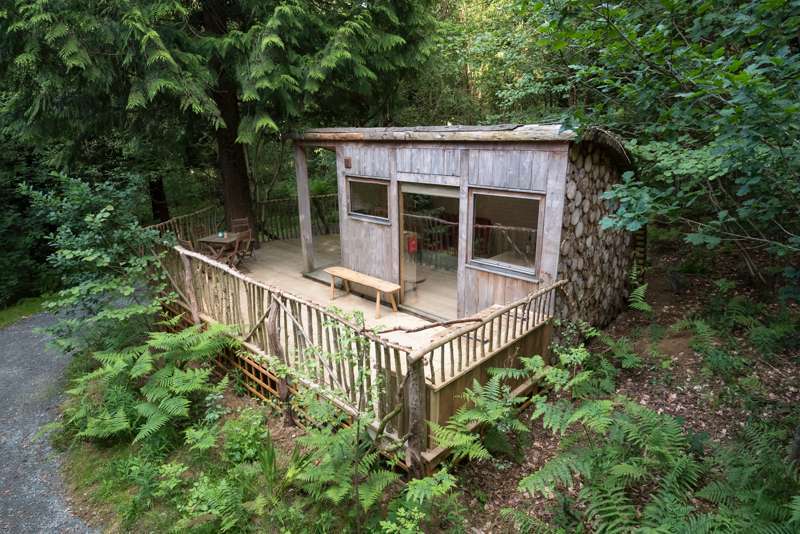 The Hub facilities block includes toilets (extra eco compost loos available in the woods), 2 mens showers, 3 ladies showers, plus a shower wet room for families. It also features a communal kitchen (with fridge and microwave), laundry facilities, and games room (with table football, pool, table tennis and air hockey, plus books, magazines and DVDs). Free Wi-Fi available throughout The Hub. Communal BBQ and seating area with a gas BBQ and wood-fired pizza oven. 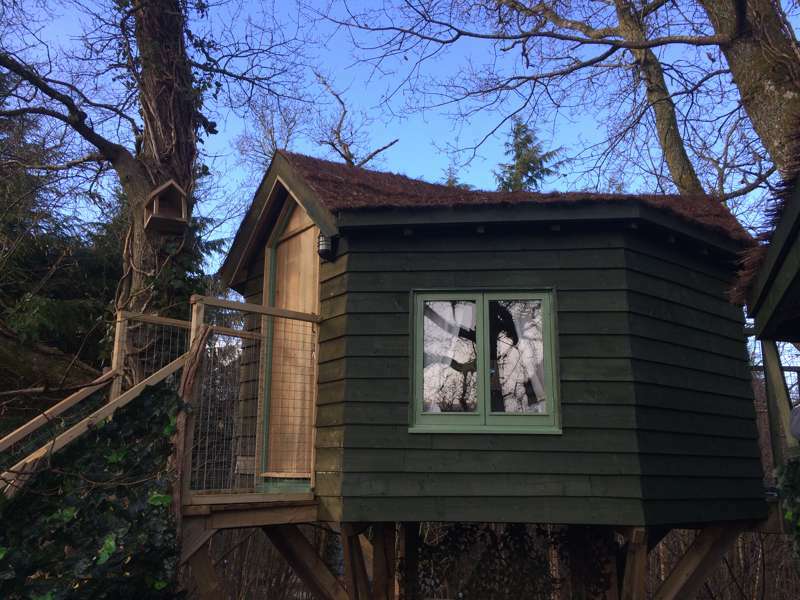 Kid-friendly features include play zone with climbing frame, slides, swings and tree fort; fairy door hunt; activity packs on arrival; woodland trail. Onsite shop sells essentials including toiletries and bedding packs. Campfires permitted in the 2 communal fire pits. Builth Wells (1 mile away), famous for hosting the Royal Welsh Show every summer, boasts a pleasing blend of heritage and outdoor adventure. Builth Wells Golf Club (01982 553296) is one of Wales' most scenic spots to tee off. Seek out the town's historic park, The Groe, where you can enjoy a picnic beside the 18th century bridge crossing the River Wye. 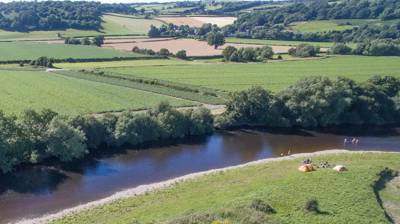 From here, you can take the tree-lined riverside path through the heart of the Wye Valley AONB. It's 136 miles in total to the river's source at Chepstow (via stunning Hay-on-Wye) home to the town's iconic Norman castle. A short drive to the south, the Brecon Beacons National Park offers plenty of activities including canoeing, horse riding, and mountain biking. The wildlife-rich Elan Valley is another great landscape to explore. It’s a designated International Dark Sky Park, offering unparalleled stargazing in the heart of the Cambrian Mountains. For a day at the seaside, head west to Aberyswyth and New Quay where you can watch dolphins in Cardigan Bay. The onsite shop sells essentials such as bread, milk, cakes, and eggs, plus locally-reared bacon, sausage, and other goodies. Builth Wells (a mile away) has several decent places to eat and drink. The Greyhound Hotel (01982 553255) and The Lamb (01982 551119) are the go-to places for reasonably-priced pub grub and a warm welcome. For sweet treats and other homemade savoury delights, The Cwtch Café (01982 551700) comes highly recommended for lunch. Pub-wise, The Fountain Inn (01982 553888) serves Sunday lunch and shows the sport, while The Prince Llewellyn (01982 552694) in Climery boasts a varied menu and has a kid-friendly beer garden. From Builth Wells town centre car park, head north-east on The Strand/A483 towards Station Rd/Wye Bridge/A470. Turn right onto Station Rd/A470/A483. Turn right onto Broad St/A483. Continue to follow A483. Turn left onto Hospital Rd (opposite The Greyhound Hotel). Turn left for Maesmynis. After 30 metres, turn right through the gateway to the site. The site offer a pick-up service for guests arriving by train or bus from The Groe car park bus stop in Builth Wells and railway station at Builth Road. 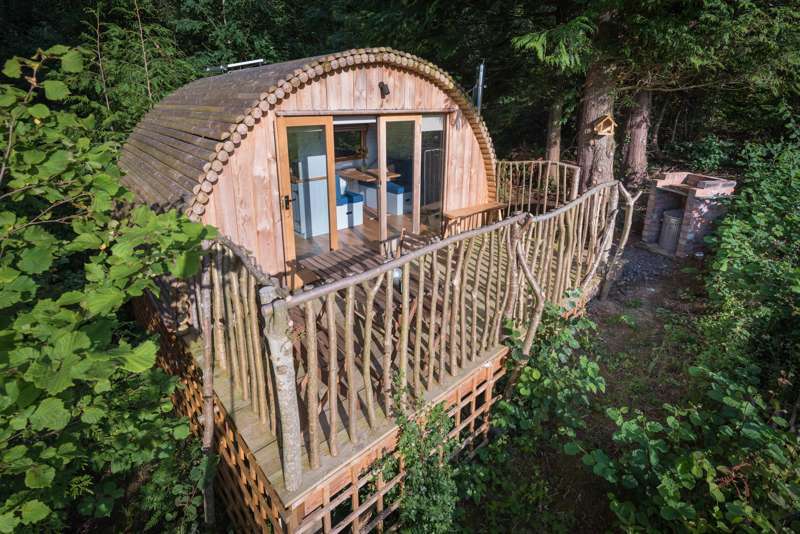 4 treehouse-like elevated glamping pods (sleeping 4); 1 smaller glamping pod (sleeping 2); Treehouse (sleeping 6); 3 all-weather tent pitches (suitable for 4 berth family tent). 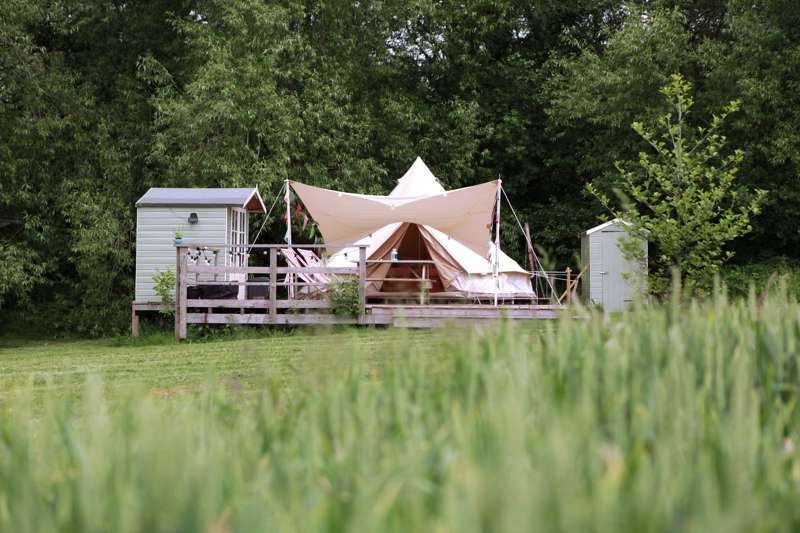 Pre-pitched tunnel tents and blow-up beds also available for hire.